Just a quick post tonight- I shall return in full-force tomorrow! 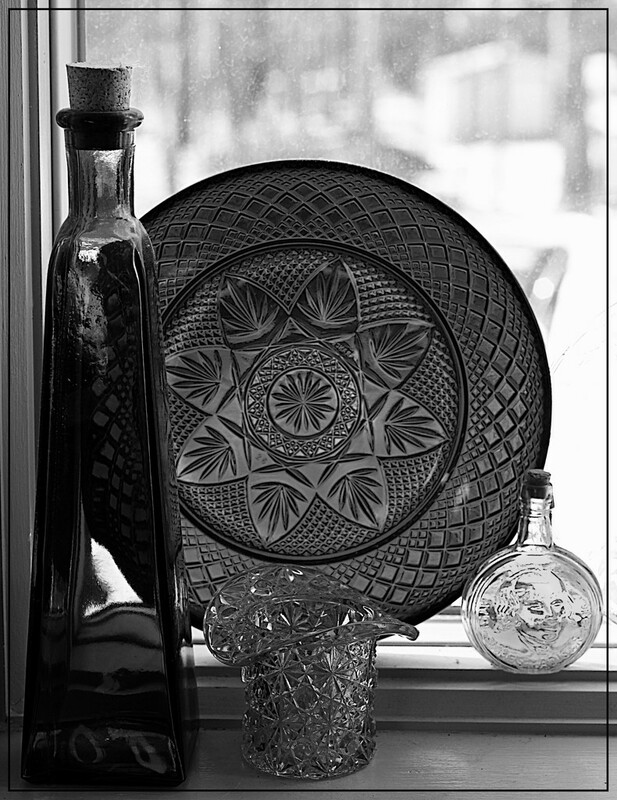 Today's high contrast shot comes to you from the glassware in my front window. Nice light source, wonderful glass. Really beautiful. How wonderful to look at this everyday with the light shining through. Fav! Wow - love the contrasts. Nice still life. The pattern in the glassware is so very evident. Thank you so much for all your views and comments! @louannwarren Thank you so much for the fav Lou Ann! @cruiser Thank you Chris and thanks so much for the fav!